P2M Properties are pleased to offer this well presented fully furnished 3 bedroom house situated in Kenton.The house is comprised of 3 bedrooms, 2 doubles and 1 single, fully fitted kitchen, 1 reception room, bathroom and garden.Close to shops and amenities, Available immediately. Please call P2M Properties for more details. P2M Properties are pleased to offer this well presented fully furnished 3 bedroom house situated in Stanmore.The house is comprised of 3 bedrooms, 2 doubles and 1 single, fully fitted kitchen, 1 reception room, bathroom ( Toilet downstairs) and garden. 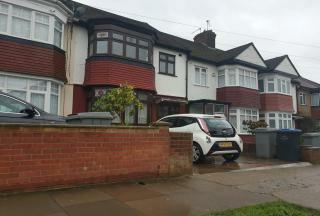 P2M Properties are pleased to bring to the rental market this well presented PART furnished 3 bedroom house situated in HARROW.The house is comprised of 3 bedrooms, 2 doubles and 1 single, fully fitted kitchen, 1 reception room,2 bathroomS and garden. Please call P2M Properties for more details. 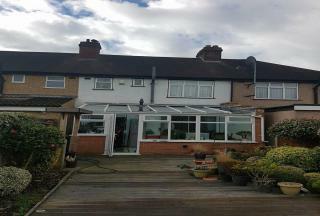 P2M Properties are pleased to offer this well presented 3 bedroom house situated in Wembley.The house is comprised of 3 bedrooms, 2 doubles and 1 single, fully fitted kitchen, 1 reception room, bathroom and garden.Close to shops and amenities. Please call P2M Properties for more details. P2M Properties are pleased to offer this well presented fully furnished 3 bedroom house situated in Harrow.The house is comprised of 3 bedrooms, 2 doubles and 1 single, fully fitted kitchen, 1 reception room, bathroom and garden.Close to shops and amenities. P2M Properties are pleased to offer this well presented fully furnished 3 bedroom house situated in Kenton.The house is comprised of 3 bedrooms, 2 doubles and 1 single, fully fitted kitchen, 2 reception room, bathroom and garden.. Please call P2M Properties for more details. P2M Properties are pleased to market this well presented and a sought-after location, this three bedroom family residence with a garage and garden. Situated closely to the local amenities of Rayners Lane, South Harrow and South Ruislip. With transport facilities all within a reasonable distance, this includes Rayners Lane Metropolitan and Piccadilly line, and along with South Ruislip's central line station Available immediately. Please call P2M Properties for more details. 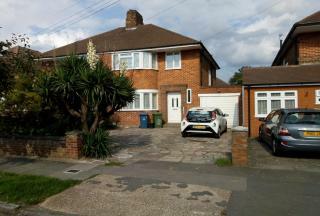 P2M Properties are pleased to offer this well presented 3 bedroom house situated in Harrow. P2M Properties are pleased to bring to the rental market this well presented 3 bedroom house situated in Harrow.The house is comprised of 3 bedrooms, 2 doubles and 1 single, fully fitted kitchen, 1 reception room, separate dining room, 1 bathroom, separate wc, garden and parking.Close to shops and amenities, within minutes walk of Harrow & Wealdstone station.186, 140, 182, 258, 340, 640, N18 bus stops are also located within walking distance from the property. Available immediately. Please call P2M Properties for more details.